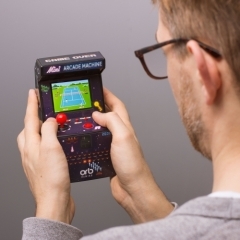 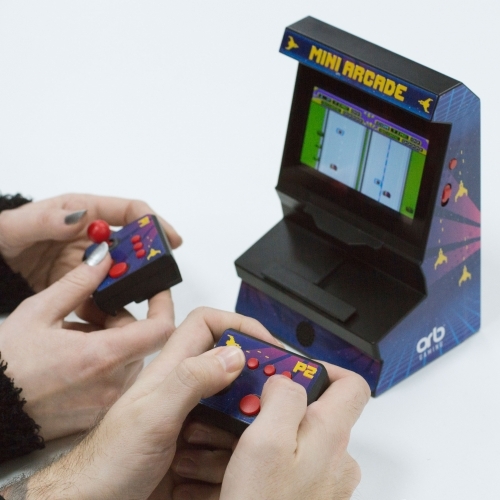 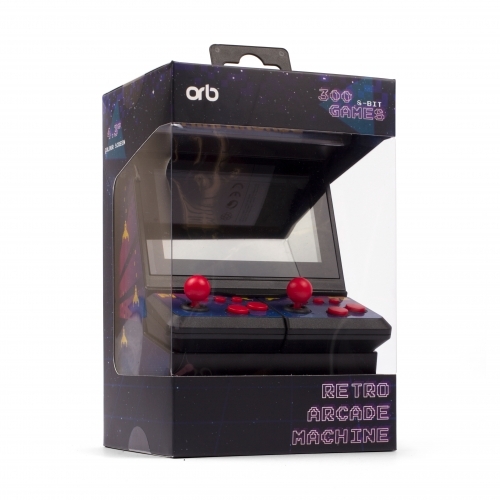 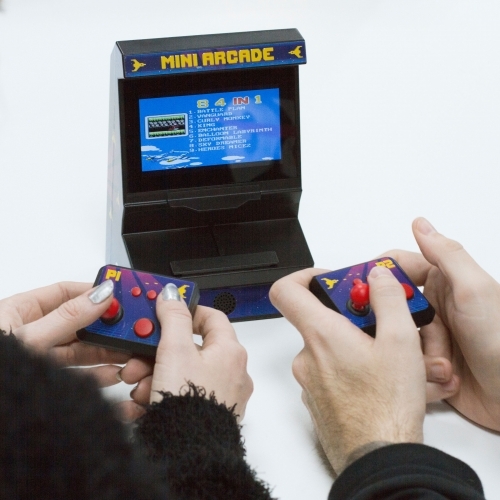 Re-live hours of video game nostalgia with this 2 Player Retro Arcade Machine. 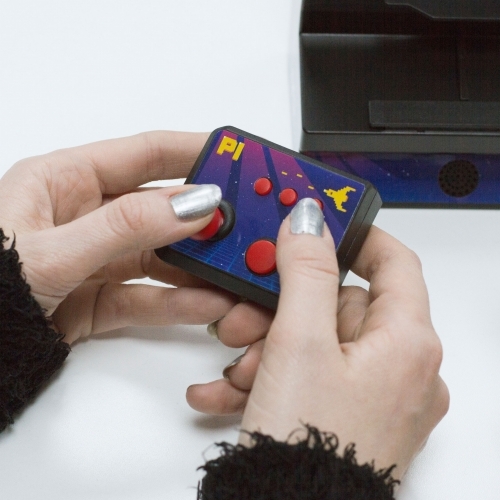 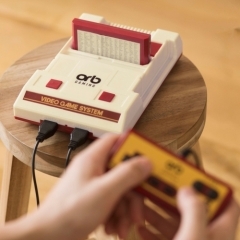 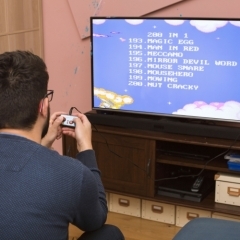 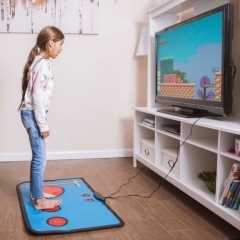 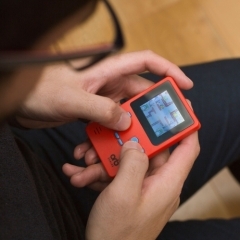 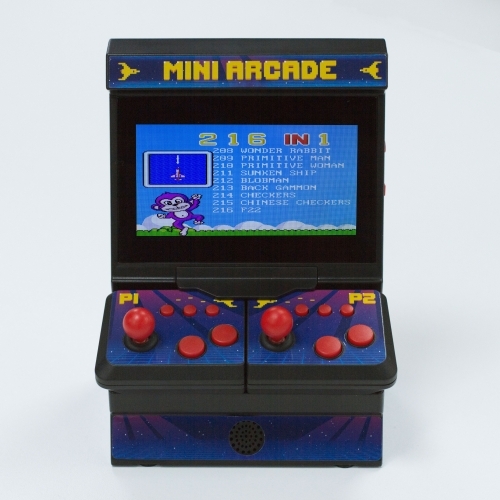 Includes over 300 super 8-Bit games; 216 1 player games plus 84 exciting 2 player games. 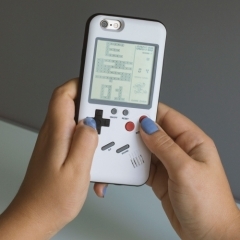 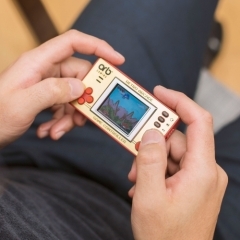 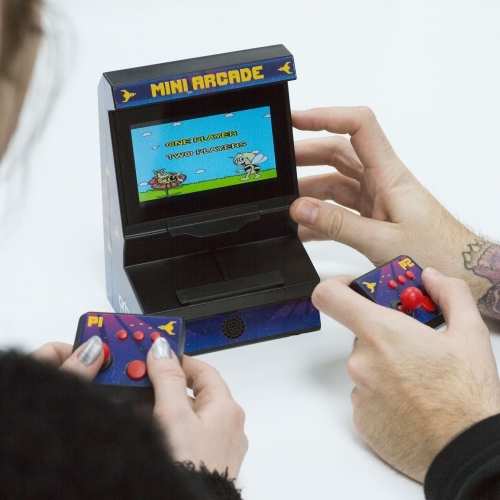 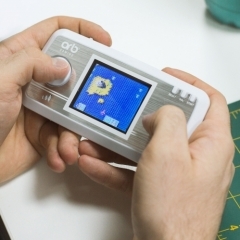 4.3 inch Super 8-Bit LCD screen with 2 removable wireless controllers. 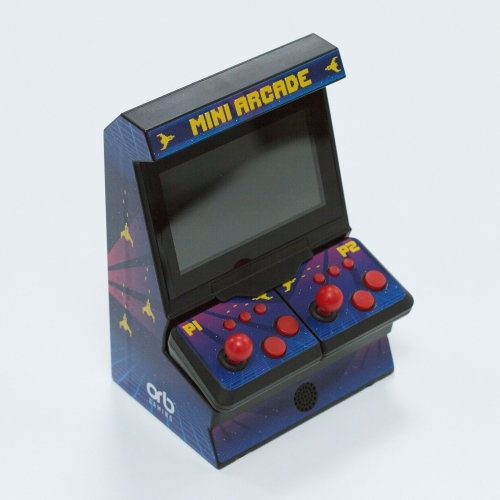 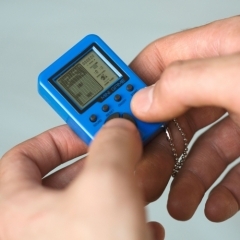 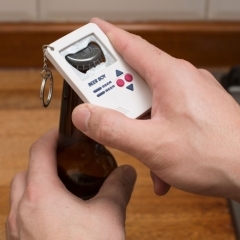 Requires 4 x AAA batteries & 4 x AA batteries (not included).